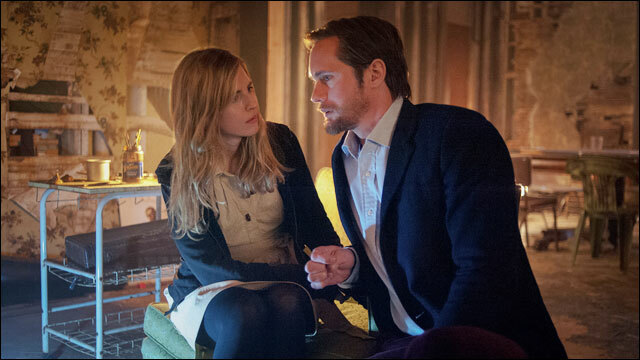 South by Southwest has set Zal Batmanglij’s thriller “The East,” starring Brit Marling, as its closing night film on March 16, two months after its premiere at Sundance. Batmanglij and Marling — both SXSW alums — co-wrote the script about an operative for a private intelligence firm sent to infiltrate an anarchist collective known as The East. The festival also announced a pair of world premieres — Matt Anderson’s “Fall and Winter,” described as a psycho-spiritual survival guide for the 21st century, and Alicia Dwyer’s “Xmas Without China,” a documentary comedy which follows a Chinese immigrant as he challenges his American neighbors to survive the Christmas season without any Chinese products. SXSW also unveiled its complete film conference lineup along with its Convergence and Digital Domain sessions and programming for a trio of new sessions — Meet the Insiders, Film Startup Alley and Come & Capture Film Factory. SXSW opens March 8 with the world premiere of Don Scardino’s “The Incredible Burt Wonderstone.” The festival will host a total of 133 features, consisting of 78 world premieres, 13 North American premieres and 9 U.S. premieres, with 76 first-time directors. Featured sessions include conversations with Danny Boyle, Rob Zombie, Harmony Korine and “Spring Breakers,” a ” Much Ado About Much Ado” session with Joss Whedon’s film fiollowing its U.S. premiere; a comedy session with Sarah Silverman, Tim & Eric, Michael Cera and Reggie Watts about working with the YouTube platform and a session with Kickstarter Co-Founder Yancey Strickler.